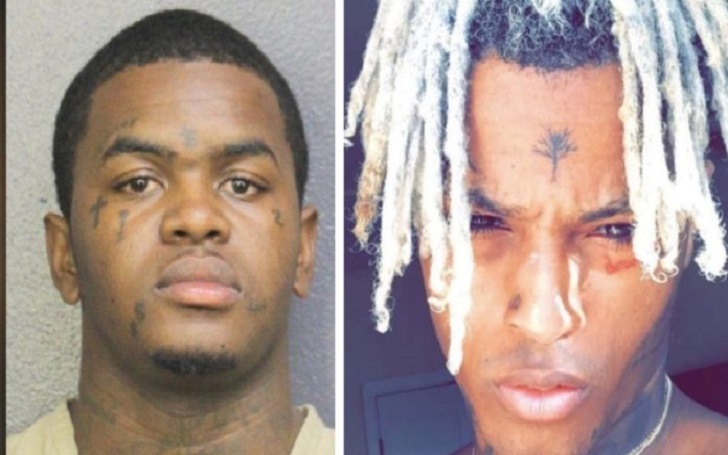 A suspect was arrested for the shooting death of XXXTentacion and he has been charged with first-degree murder, law enforcement announced on Thursday, June 21. The Broward Sheriff’s Office took to Twitter yesterday to confirmed Dedrick Devonshay Williams' arrest. In just more than 48 hours, #BSO homicide detectives arrested Dedrick Devonshay Williams for the murder of Jahseh Onfroy, also known as XXXTentacion. Williams (dob 3/23/96) was taken into custody shortly before 7p.m. in Pompano. More details will be released later today. According to the Broward Sheriff’s Office website, Dedrick was charged with first-degree murder, a probation violation, and operating without a valid driver’s license. 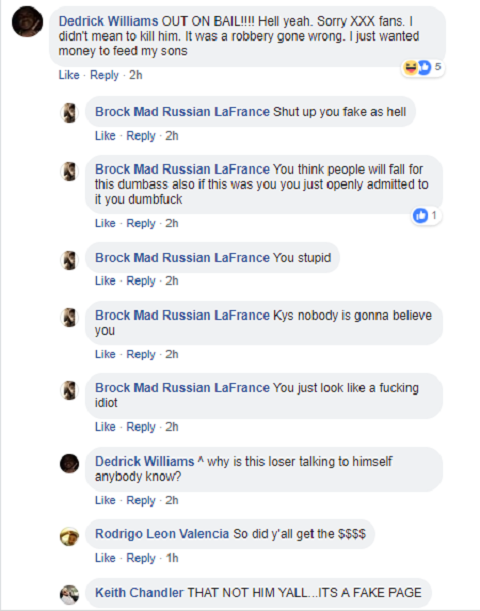 Two days after the shooting, on Wednesday, June 20, Dedrick shared a threatening post on his Facebook account, warning people not to make him angry. Under the name Chucky Williams, he wrote, "Don’t piss me off u will never know wats next". In the comment section, Dedrick apologized for what he did, saying that he didn't mean to kill him and it was a robbery gone wrong. He further claimed that he just wanted money to feed his son. As previously reported, XXXTentacion was shot on Monday, June 18, while he was in South Florida for shopping for motorcycles and he was only 20 years old.